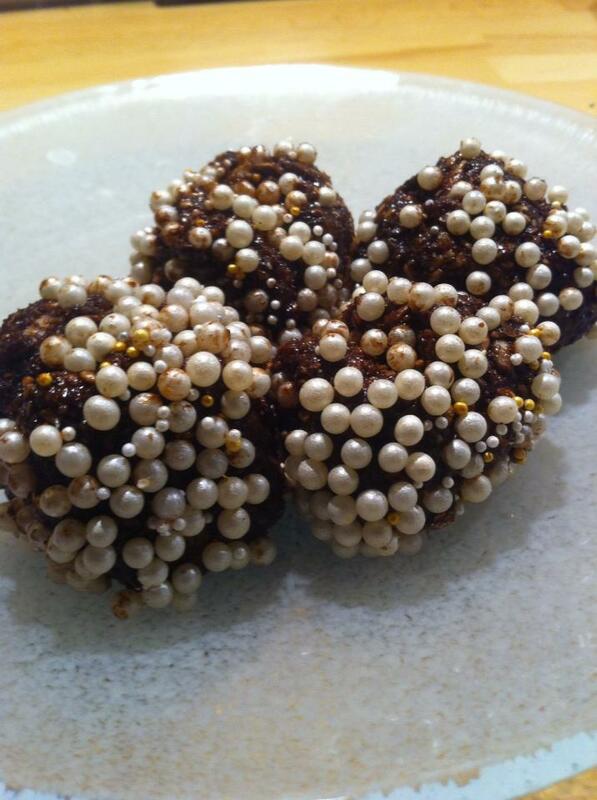 Another really lovely wonderful amazing chocolate recipe. A little more adult flavor to them here, which I like. 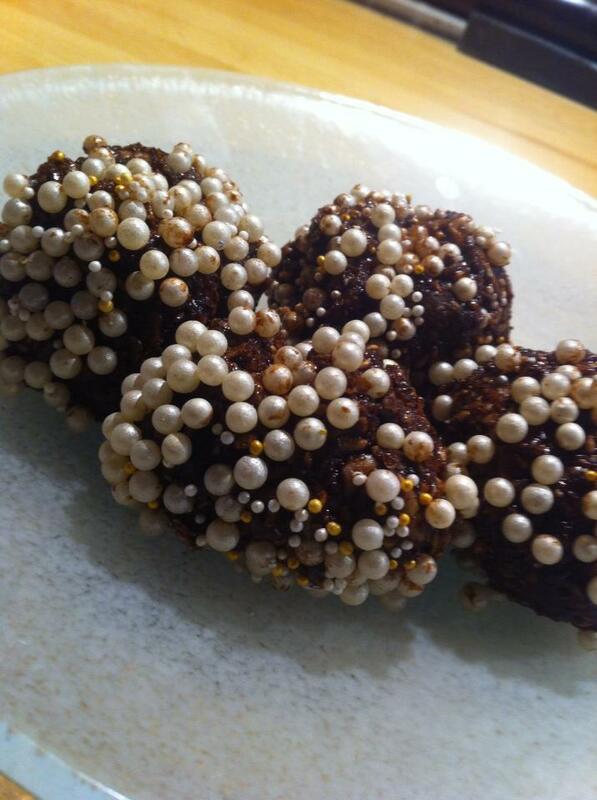 These things chocolate balls are sometimes the most amazing thing I have ever eaten! Had them for the first time on a trip and when I got home, I worked out a copy of what I had eaten. Was on the dot equal. Sucess! It’s something I very often do when I’m out on a journey, to recreate what I’ve eaten in that time. Enjoy! Here is the prescription. Make them, I promise you that you will love them. Mix together all ingredients. Shape into balls and roll them in glitter sprinkles. Into the fridge for a while. ENJOY! Sooooo pretty and decadent! I love the glitter! Chocolate and glitter – nothing better!